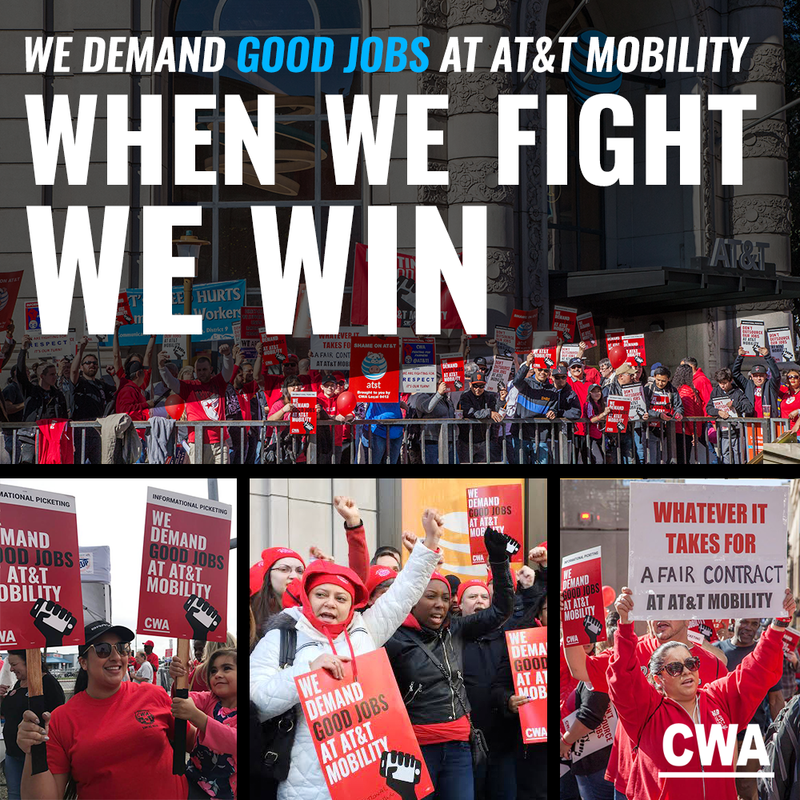 We will accomplish nothing at the bargaining table without each and every one of us taking action for a fair contract at AT&T Mobility. One of us alone is powerless, but with all of us standing side by side, we are powerful. We have to use that power! Our Day of Action in February was huge - thousands of us came out to rallies and informational pickets across the country. We're ramping up the fight this week with widespread actions to make sure we are heard and we show our power. But beyond this week, we need to be visible every single day taking action and showing our unity. Have you been taking action for a fair contract? Good. Look to your coworkers who haven't and get them involved. Are you angry and ready to strike if necessary? Good. Look to your coworkers who aren't ready and help them get there. Talk to your Local and mobilize with your CWA brothers and sisters! Make sure you have your buttons on at work and keep going out to info pickets. If you haven't been involved, contact your Local NOW!